In this new collection of stories from issues #19-23 and SWAMP THING #23.1: ARCANE, Swamp Thing meets the mysterious Capucine and encounters the Sanctuary of the Green Leaves! 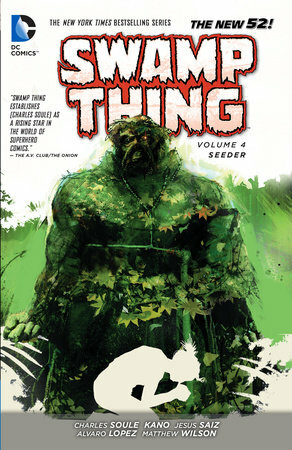 Then, the mysterious Seeder disturbs the natural order in a small Scottish town that draws the Swamp Thing's attention - trouble is, it's caught the eye of John Constantine as well! Plus, it's Swamp Thing vs. Superman for the fate of Metropolis!